A healthy mouth makes a happy smile, and the best kid-friendly dentists in Washington State will provide a great place to start in finding a dentist to help teach your children about the importance of good oral health. Although their specialties may be different, they all have one thing in common—caring about the health of your children. Here are our favorites. The staff at Light Dental Studios in Lacey, Washington, know that starting good oral hygiene routines as early as six months can work with healthy eating habits and regular visits to your dentist to provide a lifelong history of good oral care. Dr. Jordan Collins is an avid mountain climber and understands how important having the right mental attitude is toward achieving success. He uses his climbing experience to help his young patients feel at ease when they visit, and teaches the importance of good oral practices. 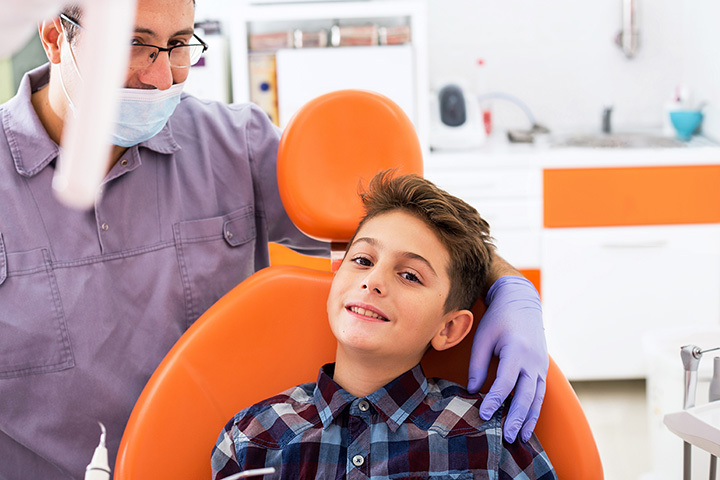 Having a dentist you can trust is important no matter what age you are, and the staff at Kid’s Dental in Centralia, Washington understands that. You’re more than just another patient—you’re a part of the family. Dr. Justin VanBibber, a native of Salt Lake City, Utah, brings his talent and passion to the practice along with Dr. Lucas Trerice, the funny man of the office. With a keen sense of humor and quick wit, Dr. Trerice can put almost anyone at ease. Two of Dr. Daniel Levi’s children have autism, and his love of working with children in oral health is drawn to those with special needs. Dr. Chelsie Todd is a dancer-turned-dentist, and has received several awards and recognition for her contribution in the field of dentistry. Bringing a desire to see everyone smile, Dr. Brendon Swenson thinks of his patients as family and brings an excitement about teaching good oral health to young patients. Highlands Kids Dentistry in Issaquah, Washington, puts the fun in coming to the dentist. Patient-focused and kid-friendly, the staff her understands that first experiences are critical in forming positive relationships and ongoing dental health. Dr. Shadi Araghi decided at a young age that she wanted to become a dentist because of her own great experiences as a child. She brings her knowledge of behavior management techniques and experience with special needs patients to work with children of all ages. Dr. Mariella Garcia is originally from Lima, Peru, and joined the practice because she wanted to help children experience great care in a fun and educational environment. From the moment you enter the door at Kitsap Kids Dentistry in Bremerton, Washington, and see the bright colors and fun furnishings, the play area created just for kids, and the interactive environment, you’ll know this is a place created with children in mind. Dr. Jessie Banks has a special interest in treating children with special needs, and has been the recipient of several awards and certifications based on her experience in various fields of dentistry. She loves to work with young people and teach good oral hygiene to establish a long life of healthy teeth and gums. With her degree in dentistry from the Maryland Dental School, Dr. Kirstina Durickas brings her love of children to work with her, and Dr. Melisa Susanto understands the importance of having early education and access to dental health. Originally from Indonesia, she needed extensive dental work and knows how important it is to have a safe, comfortable place. If you’re looking for a dental clinic that has years of experience providing clients with excellent care, then Lacamas Dental & Cosmetic Center in Vancouver, Washington is a place to consider. Among the services they offer, children’s dentistry is high on the list. Dr. Gene W. Scheel graduation with honors in dental college and was one of the youngest doctors in the country. He takes pride in teaching young patients about good oral care and making each visit a positive one. Voted the “Best Dentist in Western Washington,” Children’s Dental Care in Bonney Lake wants to make sure every child has a great smile. The six doctors who work at the clinic use their expertise to work with children from as young as six months to the time they become young adults, and understand that they play an important role in helping instill good oral hygiene practices. They offer preventive techniques, restorative work, and orthodontic care and also specialize in children with special needs. Someone is always on call for emergencies no matter what time of the day or night. All 3 done at once! Love our dentist! The core belief at O’Brien Children’s Dentistry in Renton, Washington, is compassion and care for children. Offering care for the entire family, the entire team is dedicated to encouraging life-long good dental care. One of the differences in dentists specializing in pediatrics is that they have two additional years of training after graduation and recognize that there are different approaches in working with children. Drs. Daniel O’Brien and Brenda Huynh have both completed this training, and Dr. Blake Davis is a qualified orthodontist who uses modern techniques and practices to treat young patients. There’s nothing better than hearing a child laugh or seeing them smile. The staff at Kirkland Kids Dentistry in Kirkland, Washington, understands this and are dedicated to working with younger patients. Everything in the office is designed to make each dentist experience a positive one. Children are encouraged to ask questions, learn, and practice good oral care, and each hygienist has a great chair-side manner. Dr. Allyson Dkeidek believes that responsibility, integrity, compassion, and excellence are the values that should be practiced, and has been bringing these values to families since 2009. Children and their smiles are the most important thing at Poulsbo Children’s Dentistry in Poulsbo, Washington. Combining compassion and safety with a great attitude and the latest techniques in dentistry are what set this practice apart. Preventive care is stressed from the first tooth, and taught by everyone on the dental team. You’ll understand why Dr. Shelby Self is a favorite with everyone from the moment you meet her. She has traveled internationally, and loves being an advocate for parents and children in the journey to have good oral care throughout life. Dr. C.H. Lee understands that parents trust him with their children’s dental health, and he takes this responsibility seriously. He earned his Doctorate of Dental Medicine by attending the University of Louisville in Kentucky and the Health and Science Center in San Antonio, Texas, and has been practicing dentistry since 2003. He wants every child’s first visit to be relaxed and subsequent visits pleasant and non-frightening. Dr. Lee and his staff love working with parents to help them know how to teach good dental hygiene to young ones.